Monica Smolyar, 21, center, of West Orange, N.J., during a hike in the Galilee with other participants in last summer’s travels with Friendship Circle. This year, the Birthright trip takes place from June 17-28; it will be Friendship Circle’s 10th excursion to Israel. Monica Smolyar is like any other 21-year-old. She wants to get out and see the world. One of the places she always dreamed of visiting was Israel. She has a lot of family there, and so her parents have been to the Jewish state many times to see them. Her older brother, Ari, went on a two-week trip in ninth grade and studied there for four months when he was a senior in Jewish day school. Monica, however, is not like every other 21-year-old. The resident of West Orange, N.J., has been diagnosed with severe ADD and has learning disabilities. Meaning, a trip abroad would be not only challenging, but downright difficult. “In my wildest dreams, I could not imagine that Monica would go on her own,” says Suzanne. 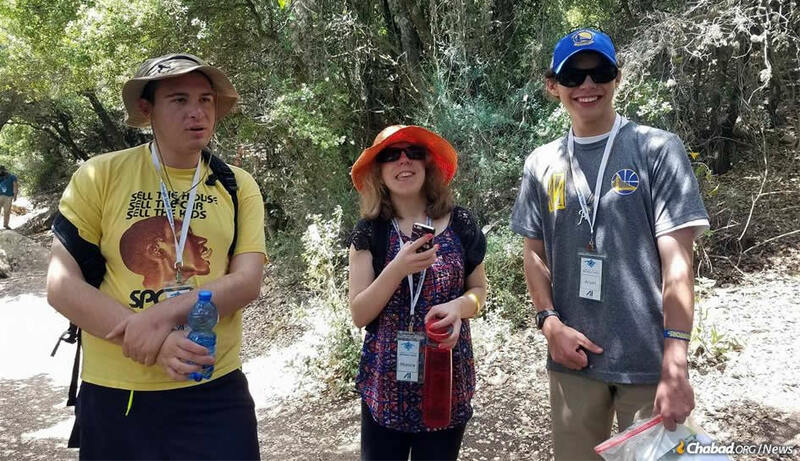 They came across a Birthright Israel trip sponsored by Friendship Circle, a Chabad-Lubavitch organization that Monica has been involved with for about 10 years. And even though Suzanne and her husband, Alexander, were a little nervous, their daughter got on a plane last summer—and had the time of her life. While those may have been her personal highlights, Monica adds that she enjoyed many aspects of the 10-day trip. She liked the water-rafting and the Jeep ride, though she says the hikes were challenging. She liked eating falafel from the street stands and spending time with her Israeli cousins. She liked learning about Israel’s battles and eventual independence, and about the history of the Second Temple. A very social person, Monica liked being with her peers, meeting new people and having freedoms she doesn’t necessarily get at home. Truth be told, she liked just about everything. This December, the Smolyars will be traveling to Israel as a family to attend a cousin’s bar mitzvah. For Monica, who says she’ll go back “any day, any time,” it couldn’t be soon enough. Julian Reiss, 21, left, with a travel guide during a tour of Israel with Friendship Circle. Also on the trip was Julian Reiss, a fellow Friendship Circle participant. Julian lives with his parents, Allan Reiss and Cornelia Peckman; his older brother, Albert, is a graduate student at Brandeis University. 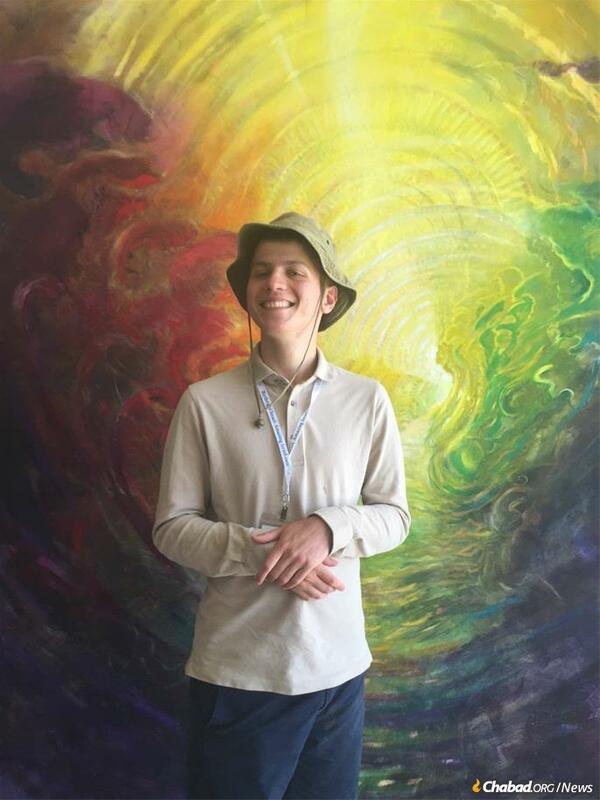 The 21-year-old, who has autism, is in his last six months at a therapeutic school, and enjoys art, reading, sports and going to synagogue. Julian says his mother saw an advertisement for the trip at Friendship Circle and asked if he wanted to go to Israel. He didn’t really know what to expect, but knew from Hebrew school that “Israel is the home of the Jews.” To help with background and get “the full Israel experience,” his mother gave him a bunch of books, including Exodus by Leon Uris, which he read while there. 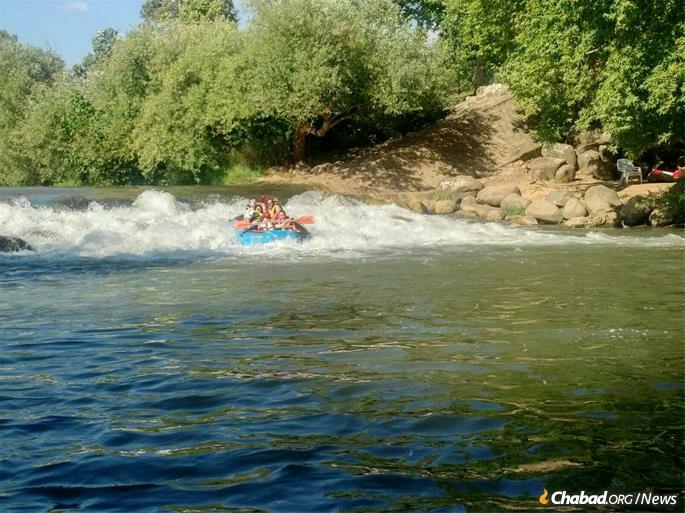 White-water rafting in Israel was a highlight for many of the trip participants. While connecting young adults to their Jewish roots is one of the more concrete goals of Birthright, some of the other objectives are more nuanced, according to Rabbi Zev Baram, executive director of the Friendship Circle in Philadelphia, who led the trip for the 22 young adults last June. These goals include connecting to people—the participants themselves and those they meet in Israel along the way—and increasing participants’ independence, even for so short a time. That’s empowering, and it comes in other forms as well. While the program is adjusted to meet certain requirements regarding inclusion, especially when it comes to more physical activities, it basically follows the typical format: a climb up Masada (via cable car or up the Roman ramp); a visit to Tzfat, and the artist colonies and synagogues there; rafting on the Jordan River; shopping in Tel Aviv; walking around Jaffa; Shabbat spent in Jerusalem. The group also went to Yad Vashem, the Israel Museum, the Biblical Zoo and the Davidson Center, all in Jerusalem, and had the opportunity to plant trees. Birthright Israel started offering free, 10-day trips for Jewish young adults between the ages of 18 and 26 back in 1999. Since then, more than 600,000 young people from nearly 70 countries have taken advantage of the program, though the majority of participants come from North America. At the end of 2017, the age eligibility for certain trips was raised to 32 to widen the pool of applicants. Friendship Circle started leading trips in 2008—offering one trip per year—and has since connected about 230 teens and young adults (these trips are geared for those ages 18 to 29) with their homeland. This summer’s trip, which takes place from June 17-28, will be Friendship Circle’s 10th excursion to Israel. Julian definitely believes that to be true. An athletic person (he’s on a Special Olympics swim team), Julian says: “I think everyone should go to be better people and better Jews”—and has been considering returning for some kind of work-study program, even for as long as a year. His parents have acknowledged that. They’ve been gathering information and talking to others about options for young people with disabilities, and if it goes anything like the Birthright trip, where Baram kept in daily contact posting photos and updates on Facebook, they will be reassured by this hugely independent step. An athletic person (he’s on a Special Olympics swim team), Julian says: “I think everyone should go to be better people and better Jews.” He has been considering returning to Israel for a work-study program.